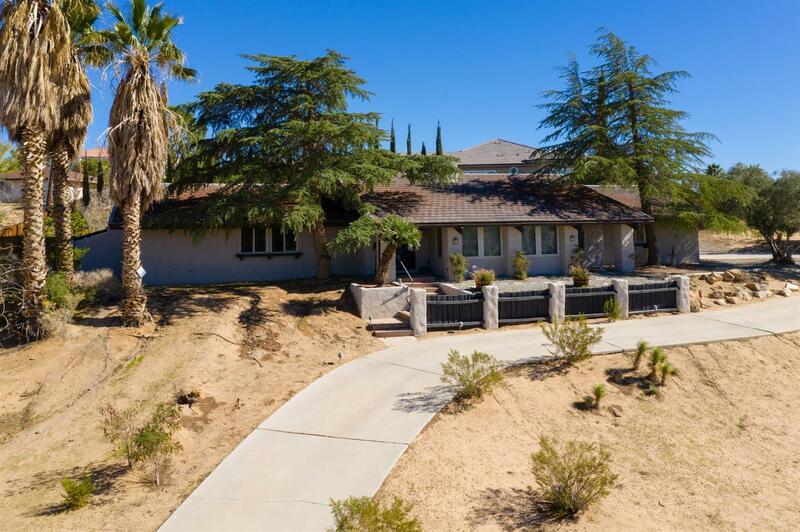 Checkout The View in this Apple Valley Home with Lot's of Beauty and A Lot of Value! Well built and beautifully maintained 4 Bedrooms, 2 Baths, remodeled kitchen with granite, New energy efficient windows, 2 sided fireplace in sunken living room, family room. formal dining room, in-door laundry room. 3 car garage, new septic system 2 years old, tranquil backyard with covered patio. Approximately 2100 sq/ft situated over 1/2 acre of land. Ideally located near schools, shopping and quiet area. Exciting Value! Directions: East On Bear Valley Road Turn Left On Apple Valley Road, Turn Right On Sitting Bull Road, Left On Tawya Rd, Right Onto Modoc Roadmap Left On Sonoma Road And Home On Right.